Neither the Braves nor the Padres remained in the shadows this offseason. In the final hours before the 2015 season got underway Sunday evening, the teams made one final tweak to their rosters. 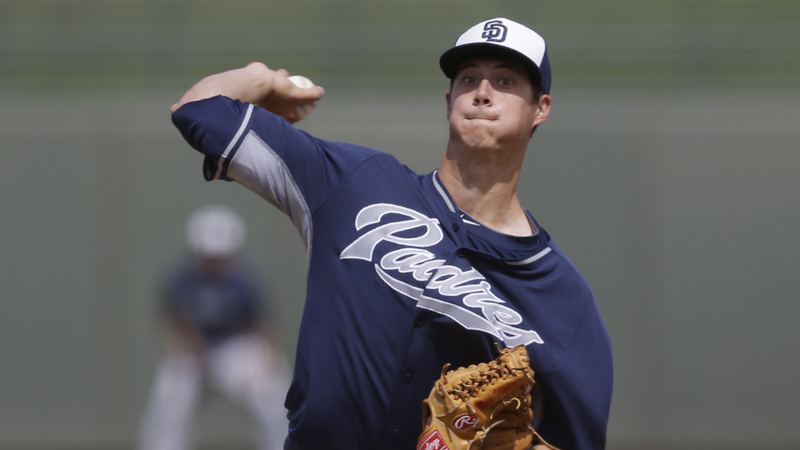 San Diego sent top pitching prospect Matt Wisler, No. 15 prospect Jordan Paroubeck, the 41st pick in the June First-Year Player Draft and veterans Cameron Maybin and Carlos Quentin to Atlanta for Major Leaguers Melvin Upton Jr. and Craig Kimbrel. In Wisler, the Braves landed MLB.com's No. 70 prospect and one of the top young right-handers in the Minors. Selected seventh overall in the 2011 Draft, the 22-year-old is coming off a season in which he went 10-5 with a 4.42 ERA and 136 strikeouts over 146 2/3 innings between Triple-A El Paso and Double-A San Antonio. With a plus fastball and changeup and two effective breaking pitches in the slider and curveball, Wisler has the ability to pitch in the high-90s to the mid-70s. An Organization All-Star in the Padres system in 2013, the 6-foot-3 hurler -- who will likely start 2015 in either Triple-A Gwinnett or Double-A Mississippi -- has a career 3.40 ERA in four years of pro ball. Paroubeck was considered the fourth-best outfielder on San Diego's farm prior to the trade. Taken in the second supplemental round of the 2013 Draft, the 20-year-old outfielder has only logged 157 at-bats in the Minors, all with San Diego's Rookie-level affiliate, where he hit .286 with 14 extra-base hits and 24 RBIs. The Padres handed the switch-hitter a $650,000 signing bonus and started him in left field, although MLB.com speculates he could have a future in center field because of his above-average speed. The Braves also get a pair of 28-year-old outfielders and a Draft pick. Maybin, a career .246 hitter owed up to $24 million over the next three years and two-time All-Star Quentin who will earn $8 million this year with a mutual option for a $10 million extension in 2016. The Draft pick will come in the competitive balance Round A Draft and will give the club three first-round selections. In return, the Padres land center fielder Upton and closer Kimbrel. Upton struggled in his two years in Atlanta since coming over from Tampa Bay in 2013, batting just .198 with 21 homers in 267 appearances. He is sidelined with a left foot ailment until at least mid-May. Right-hander Kimbrel has led the National League in saves in each of the past four seasons, owns a career 1.43 ERA and has been an All-Star every year since 2011. The duo will make more than $79 million over the next three years, with a $13 million club option on Kimbrel in 2018. Ashley Marshall is a contributor to MiLB.com. Follow him on Twitter@AshMarshallMLB. This story was not subject to the approval of the National Association of Professional Baseball Leagues or its clubs.